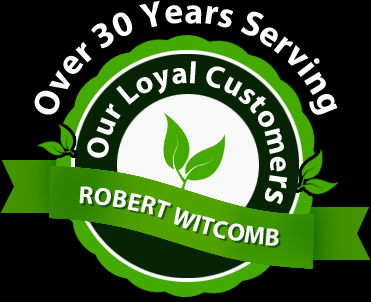 Robert Witcomb Landscape Gardening has been serving residential and commercial clients in Long Island and New York City for over 30 years. Our attention to detail, solid work ethic and our experience keep our valued clients coming back year after year. That loyalty is the direct result of the dedication and commitment to quality that our friendly employees exhibit each day. Whether you are a commercial or a residential client, our professional landscaping solutions will meet all of your needs. The beauty and health of your landscaping is our top priority. Our Landscape Maintenance Services will always strive to keep your property looking its best! Thinking about an update to your property or a complete overhaul? Our Landscape Consulting, Design and Construction Services will ensure that your project is done right from the beginning. We have a wealth of completed projects throughout Nassau, Suffolk, Queens and Brooklyn to prove it. We also have many Organic Landscaping options that provide environmentally-friendly and sustainable solutions for our discerning clients. Our NYS-certified staff will carefully apply the proper chemical treatments for weed and pest control and to nourish your lawn, plants, shrubs and trees. Whether you are located in Nassau County, Suffolk County, Queens or Brooklyn, if you are looking for a reliable, professional landscape services company, Contact Us for a Free Consultation to determine your exact needs and budget. copyright © 2014 robertwitcom.com all rights reserved.